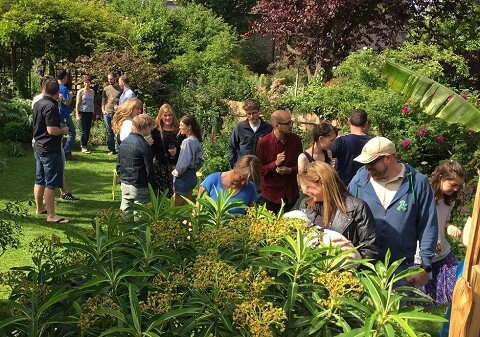 A Hither Green Festival Favourite - spend a relaxing afternoon visiting some wonderful gardens hidden behind Hither Green's mostly Victorian and Edwardian properties. This year local school gardens, park based community gardens and even the local vicarage are taking part. The gardens come in all shapes and sizes; be inspired by inventive planting and use of colour, amazing sheds, ponds, fruit trees and wildlife-rich private gardens. Enjoy child-friendly family gardens and sophisticated eating areas and gardens with river views. Discover how a London neighbourhood enjoys its outside space. Some gardens may be selling refreshments or plants in aid of charity. No tickets required - roll up and say hello. Nearest Railway Station: Hither Green. Local buses: 181, 202, 225.